CHAMPAIGN, Ill. -- Leron Black, the leading scorer for Illinois last season, will not return for his final year of eligibility. Black had his best season in Brad Underwood's first year as head coach. The junior had career highs in points, assists, blocks, free throw percentage, 3-point field goal percentage and overall field goal percentage. He led the Illini with 15.3 points and 5.2 rebounds per game. The Illini finished 14-18. "This was a very tough decision for me," Black said Thursday. "I have loved my time at Illinois and have grown so much during my four years here." Underwood praised Black for his consistency throughout the season, despite being at the top of every opponent's scouting report. 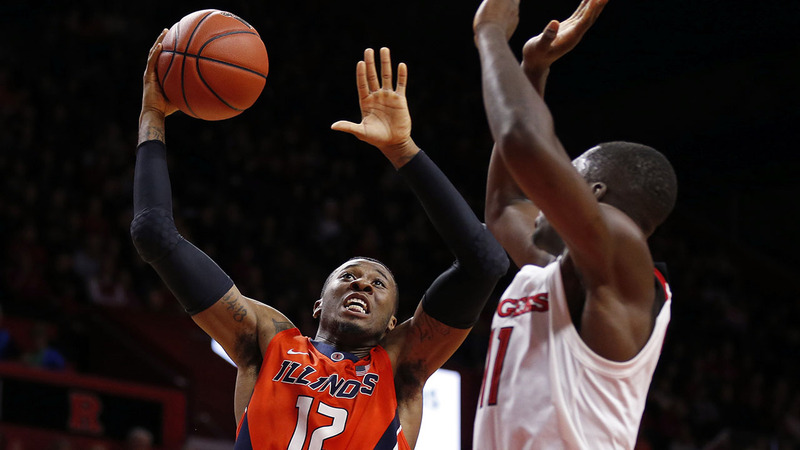 Black scored in double figures in all but five of the Illini's 31 games. He also had seven 20-point games, including a career-high 28 points against Nebraska and Purdue. Black's performance earned him an honorable mention All-Big Ten selection. "He is ready to begin a pro career, and we fully support this decision," Underwood said. "He was one of the toughest players to guard in our league, and that showed with his production throughout conference play." Black is the second player to leave Illinois since the end of the season. Mark Smith, 2017 Illinois Mr. Basketball and the Illini's top-ranked recruit for the Class of 2017, is transferring after one year. Smith averaged 5.8 points and shot only 33.7 percent from the field during his freshman season.